In 2013, Alysha St. Germain lost her husband to cancer. The mother of two young kids knew she needed to make a decision about how she wanted to raise her kids alone. 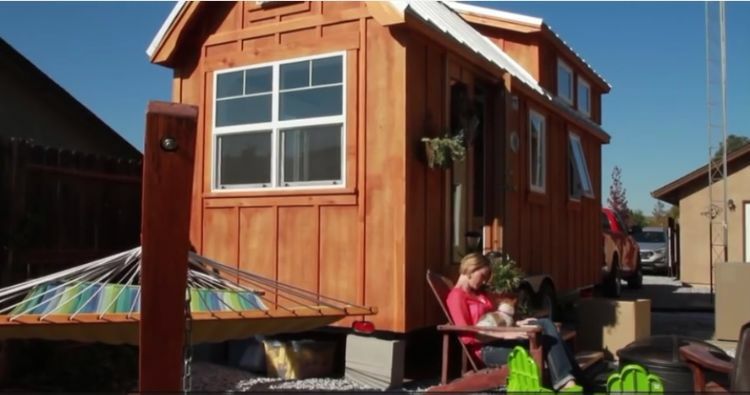 Finding a compromise between a tighter budget and spending quality time with her family was easy: She bought a tiny home. "I had to decide what was most important to us. And so that's when I came to a point where I realized that the most important thing was obviously being together because our life changed in a matter of minutes," she said. 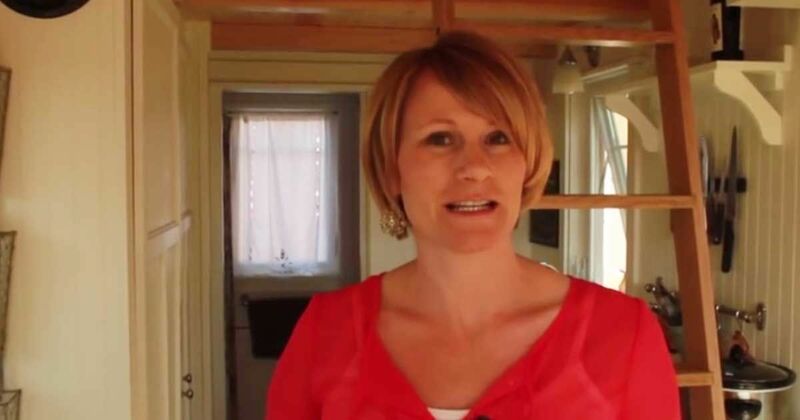 We decided that by moving into a tiny house it was going to be the impetus for us to begin living life intentionally." The tiny kitchen is small but functional. St. Germain notes that they have everything they need. All of the amenities of a traditional-sized home (such as a stove, fridge, sink and counter space) are found in their smaller house. 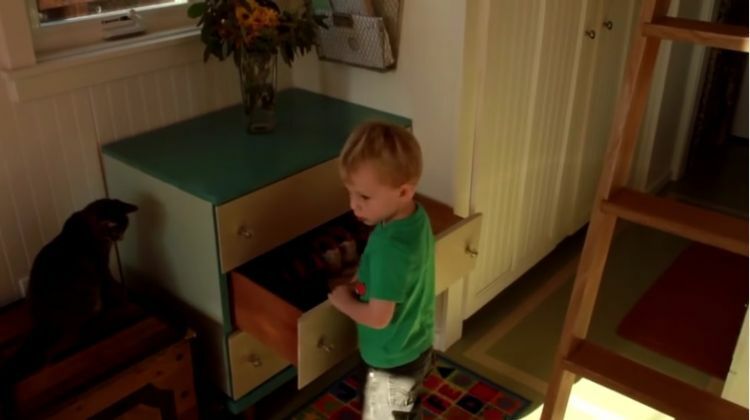 Creative use of the space (including decorative storage in the living room) makes it much easier for St Germaine to spend less time picking up and more time playing with the little ones. The bathroom is cozy but big enough to fit a tub, sink and toilet for the family. The home fits on a nice lot with plenty of space for the kids to play outside. It features plenty of windows so that the small space feels bigger and brighter. St. Germaine loves that the kids are best friends, thanks to the close living quarters. What's helped the family handle the downsize? Getting rid of stuff they didn't need. "You just have to make a concerted effort to really downsize and figure out what you need and what you cannot live without. And to be honest there's a lot that we do not need," she said. From Lancaster, Pa., comes this tiny home on wheels called The Modern Farmhouse. Step inside and see why. From the outside, this tiny home seems like it belongs in 'The Hobbit.' Inside, it is thoroughly modern and functional. From the outside, this 204-square feet tiny house produced by a pair of Massachusetts ex-patriots may not look like your typical tiny home. Luke and Tina's creation is eclectic, purposeful and stylish.